I'm not the kind of person who can grow a beard but if I could I would. I'm a beard admirer, and let me tell you, this man's beard is exceptional! 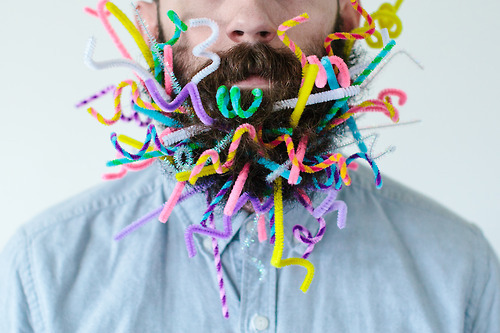 Willitbeard.tumblr.com features a man who will stick anything and everything in his beard to see if it will indeed "beard". Go check him out.